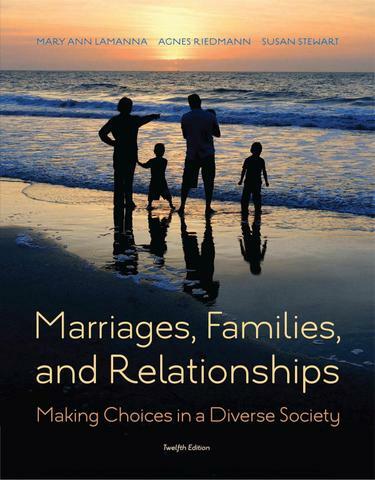 This best-selling text on marriages, families, and relationships combines a rigorous scholarly and applied approach with a theme especially relevant to today's dynamic global environment: making choices in a diverse society. The authors use an engaging narrative to create a highly readable text that offers insightful perspectives on the diversity of our modern society, including different ethnic traditions and family forms. The balanced presentation discusses a variety of theoretical perspectives (e.g., family ecology, structure-functional, interaction-constructionist, family systems, biosocial), emphasizing both social structure and the importance of individual agency, choice, and decision-making. Students are encouraged to question assumptions and reconcile conflicting ideas and values as they make informed choices in their own lives.